DJ Erick Morillo returned to to TAO, who played a 10 hour set in honor of his 10th show at TAO Las Vegas during the Labor Day Weekend. The superstar DJ kept club goers partying until the sun came up and drew notable names from the DJ world including Sebastian Ingrosso, Kaskade, Pete Tong, Redfoo and Chuckie. Dirty South and Afrojack were also on hand and even jumped into the booth with Morillo at one point. R&B artist Maxwell was spotted in the crowd as well and Paris and Nicky Hilton came by at 4 am after hitting Marquee. 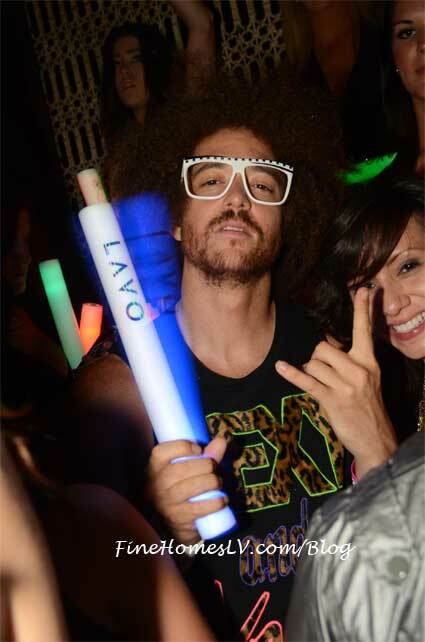 DJ Vice held court at LAVO for Vice Sundays, where Redfoo of LMFAO was spotted Party Rocking. At Marquee, Paris and Nicky Hilton returned to check out Dirty South’s set. The sisters were joined by a group of friends and took in the music from a VIP table on the dance floor. Also spotted was DJ Afrojack, who made a late night stop at the club. Muggs from Cypress Hill was in the Boom Box Room supporting his friend DJ Honky Kong.